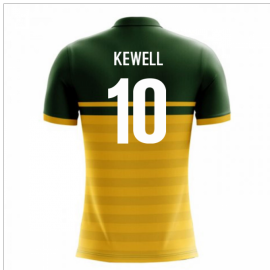 Official Harry Kewell - Kids football shirt for the Australia team. This is the new Australia home shirt for the 2018 Wolrd Cup which is manufactured by Airo Sportswear and is available in adult sizes..
Official Harry Kewell football shirt for the Australia team. This is the new Australia home shirt for the 2018 Wolrd Cup which is manufactured by Airo Sportswear and is available in adult sizes S, M, ..
Official Tomi Juric - Kids football shirt for the Australia team. This is the new Australia home shirt for the 2018 Wolrd Cup which is manufactured by Airo Sportswear and is available in adult sizes S..
Official Tomi Juric football shirt for the Australia team. This is the new Australia home shirt for the 2018 Wolrd Cup which is manufactured by Airo Sportswear and is available in adult sizes S, M, L,..
Official Brad Jones - Kids football shirt for the Australia team. This is the new Australia home shirt for the 2018 Wolrd Cup which is manufactured by Airo Sportswear and is available in adult sizes S..
Official Brad Jones football shirt for the Australia team. This is the new Australia home shirt for the 2018 Wolrd Cup which is manufactured by Airo Sportswear and is available in adult sizes S, M, L,..
Official Mile Jedinak - Kids football shirt for the Australia team. This is the new Australia home shirt for the 2018 Wolrd Cup which is manufactured by Airo Sportswear and is available in adult sizes..
Official Mile Jedinak football shirt for the Australia team. This is the new Australia home shirt for the 2018 Wolrd Cup which is manufactured by Airo Sportswear and is available in adult sizes S, M, ..
Official Jackson Irvine - Kids football shirt for the Australia team. This is the new Australia home shirt for the 2018 Wolrd Cup which is manufactured by Airo Sportswear and is available in adult siz..
Official Jackson Irvine football shirt for the Australia team. This is the new Australia home shirt for the 2018 Wolrd Cup which is manufactured by Airo Sportswear and is available in adult sizes S, M..
Official Tim Cahill football shirt for the Australia team. This is the new Australia home shirt for the 2018 Wolrd Cup which is manufactured by Airo Sportswear and is available in adult sizes S, M, L,..
Concept Juan Roman Riquelme - Kids football shirt for the Argentina international team. This is the new Argentina away concept shirt for the 2018 World Cup which is manufactured by Airo and is availab..
Concept Juan Roman Riquelme football shirt for the Argentina international team. This is the new Argentina away concept shirt for the 2018 World Cup which is manufactured by Airo and is available in a..
Concept Diego Perotti - Kids football shirt for the Argentina international team. This is the new Argentina away concept shirt for the 2018 World Cup which is manufactured by Airo and is available in ..
Concept Diego Perotti football shirt for the Argentina international team. This is the new Argentina away concept shirt for the 2018 World Cup which is manufactured by Airo and is available in adult s..
Concept Javier Pastore - Kids football shirt for the Argentina international team. 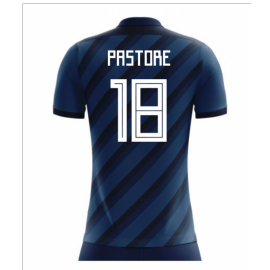 This is the new Argentina away concept shirt for the 2018 World Cup which is manufactured by Airo and is available in..
Concept Javier Pastore football shirt for the Argentina international team. This is the new Argentina away concept shirt for the 2018 World Cup which is manufactured by Airo and is available in adult ..
Concept Leandro Paredes - Kids football shirt for the Argentina international team. This is the new Argentina away concept shirt for the 2018 World Cup which is manufactured by Airo and is available i..
Concept Leandro Paredes football shirt for the Argentina international team. This is the new Argentina away concept shirt for the 2018 World Cup which is manufactured by Airo and is available in adult..
Concept Nicolas Otamendi - Kids football shirt for the Argentina international team. This is the new Argentina away concept shirt for the 2018 World Cup which is manufactured by Airo and is available ..
Concept Nicolas Otamendi football shirt for the Argentina international team. This is the new Argentina away concept shirt for the 2018 World Cup which is manufactured by Airo and is available in adul..
Concept Lionel Messi - Kids football shirt for the Argentina international team. This is the new Argentina away concept shirt for the 2018 World Cup which is manufactured by Airo and is available in a..
Concept Lionel Messi football shirt for the Argentina international team. This is the new Argentina away concept shirt for the 2018 World Cup which is manufactured by Airo and is available in adult si..
Concept Javier Mascherano - Kids football shirt for the Argentina international team. This is the new Argentina away concept shirt for the 2018 World Cup which is manufactured by Airo and is available..